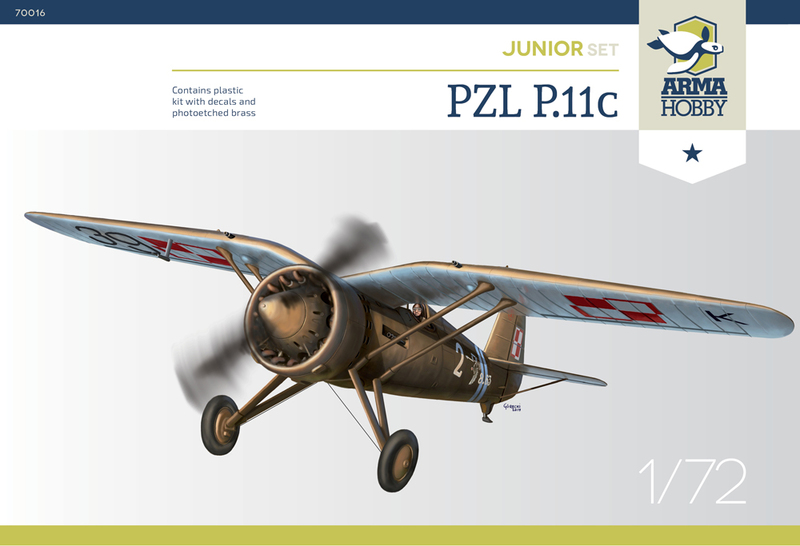 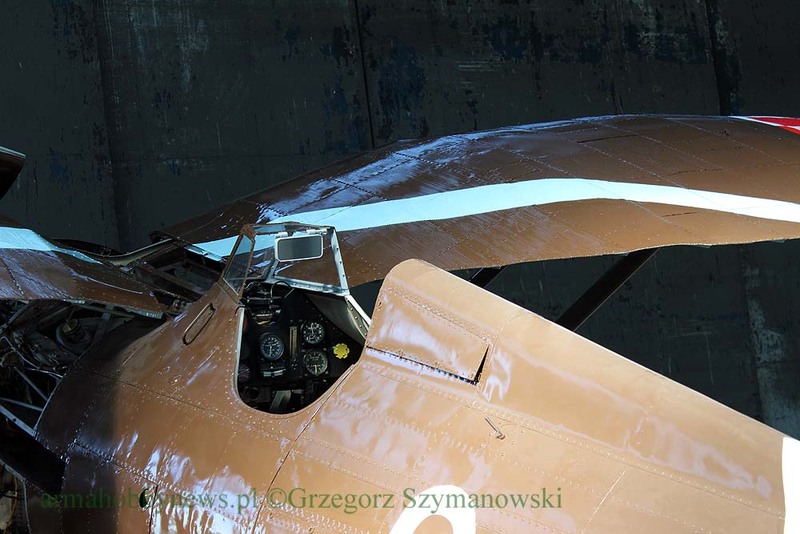 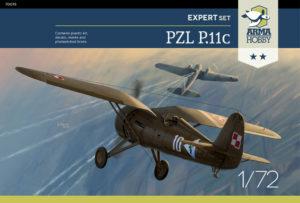 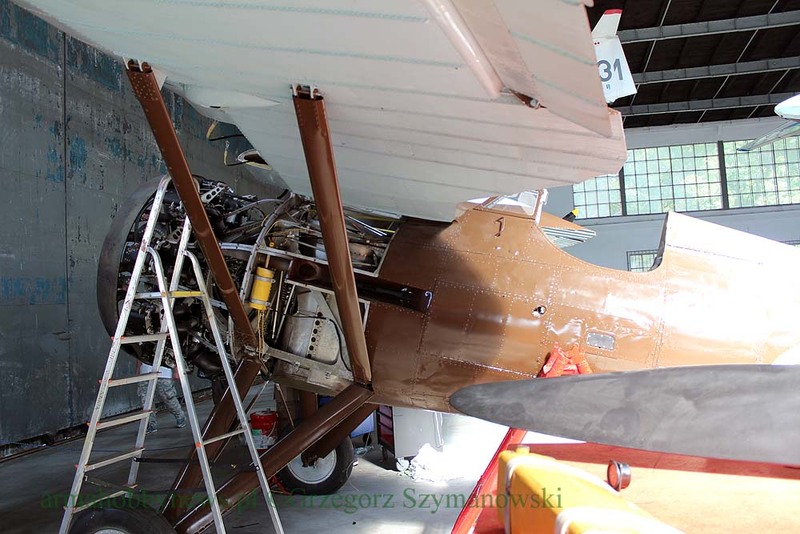 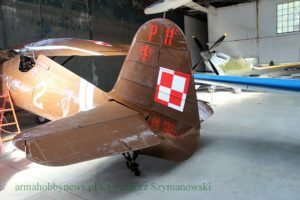 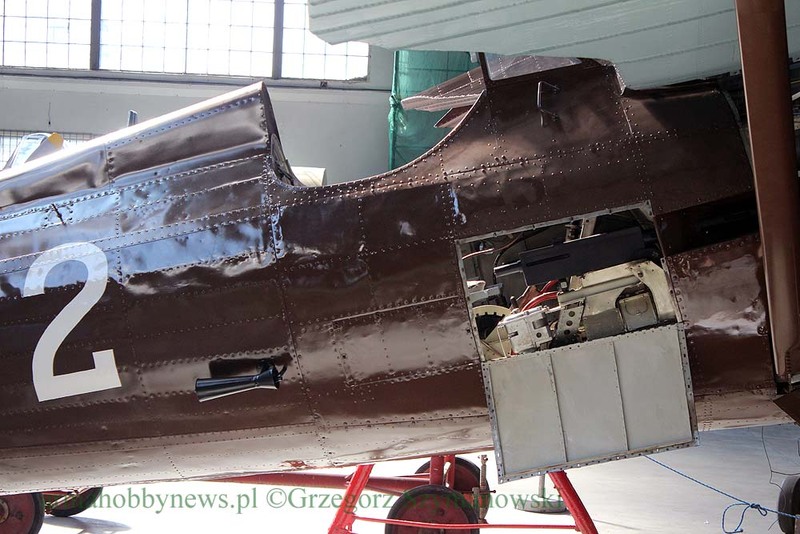 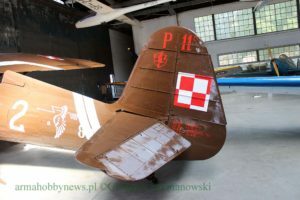 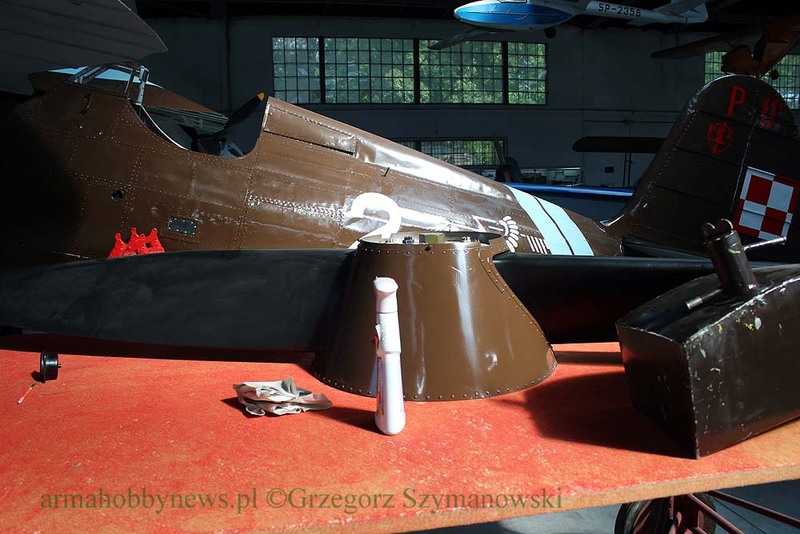 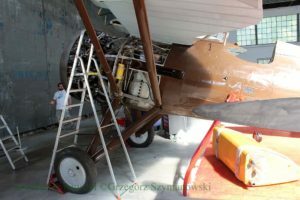 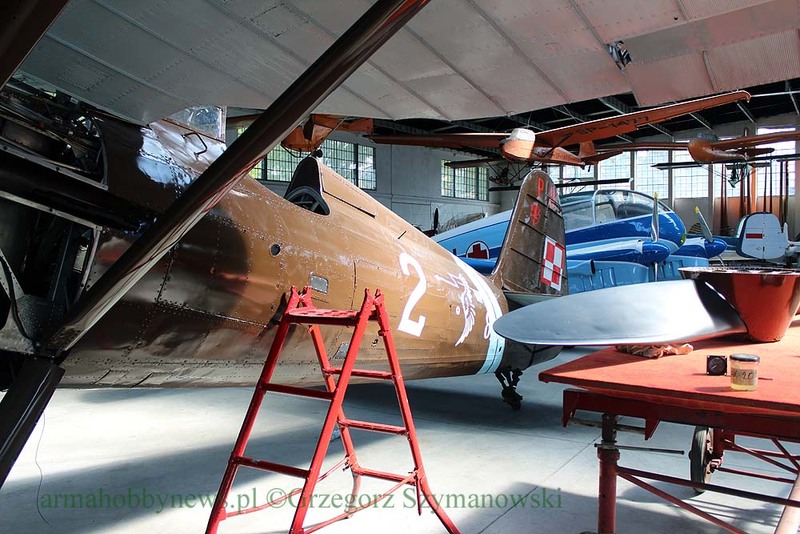 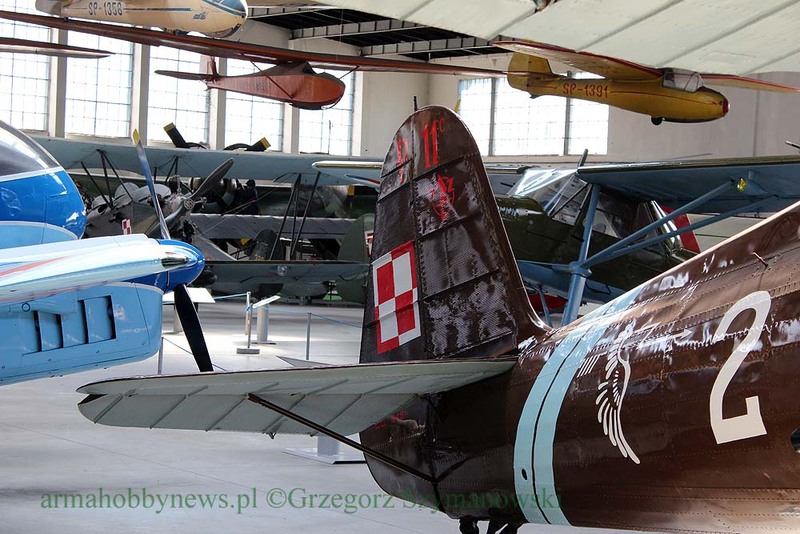 The plane is painted in the camouflage “Polish late khaki”. 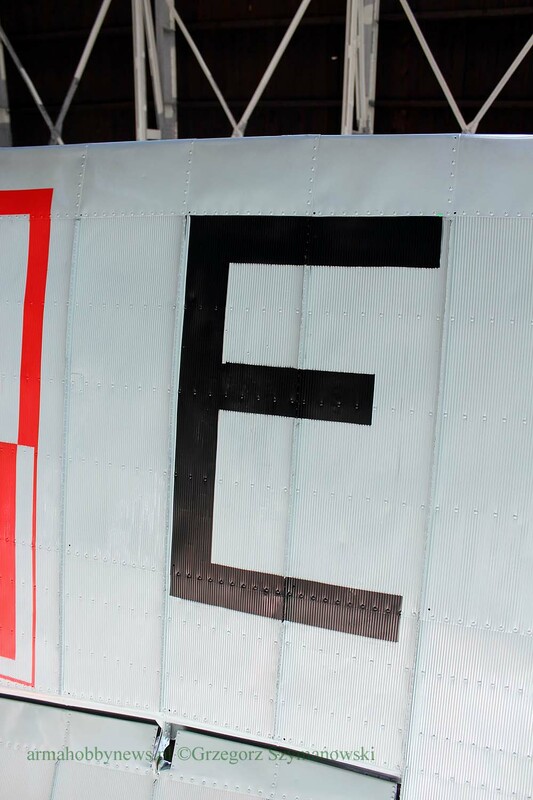 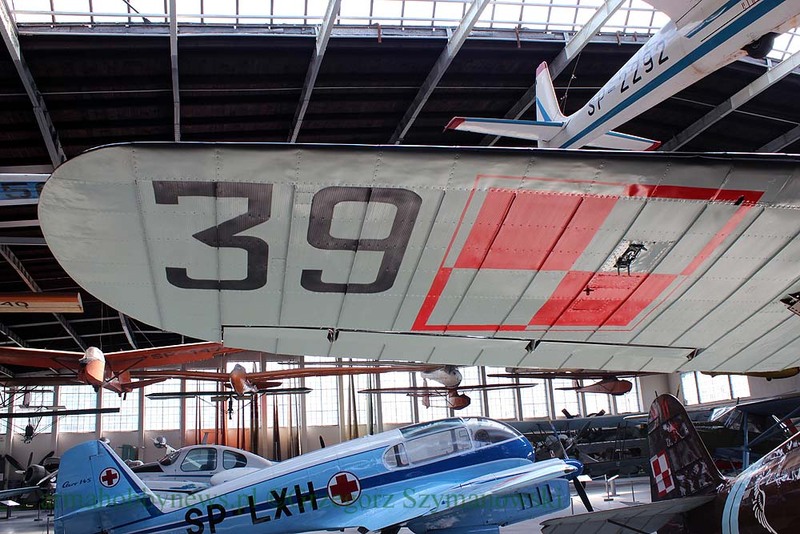 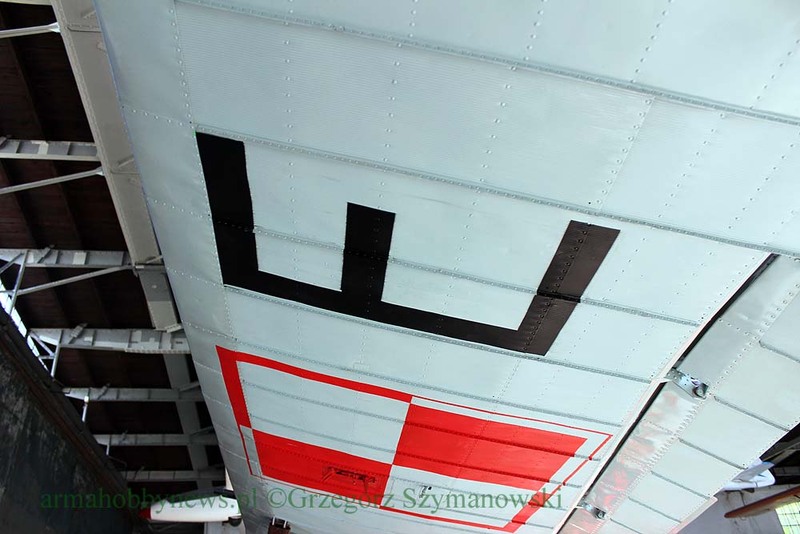 Aeroplane underwing code letter was changed from K to E. It was painted during servce in training squadron of the 2 Aviation Regiment in Cracow. 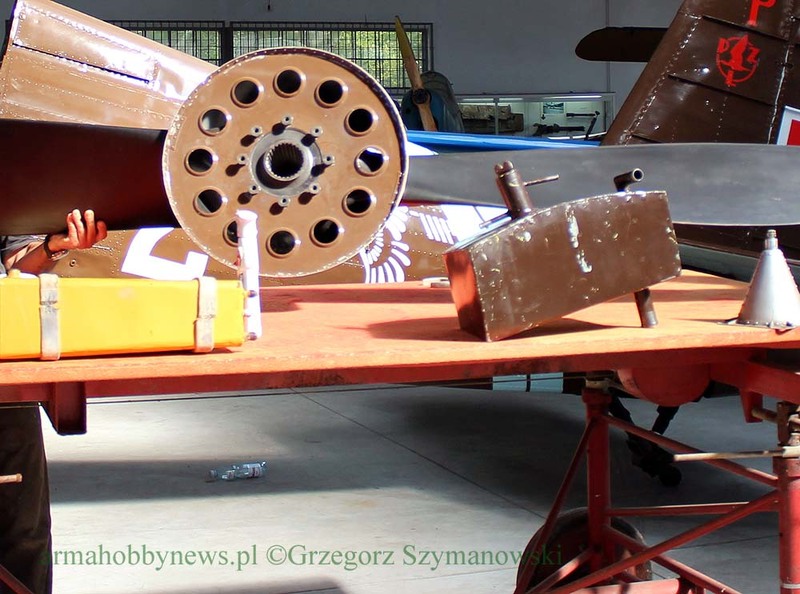 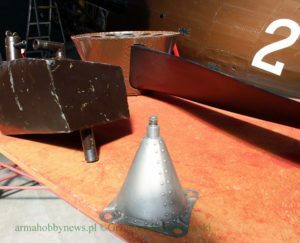 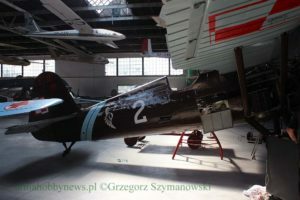 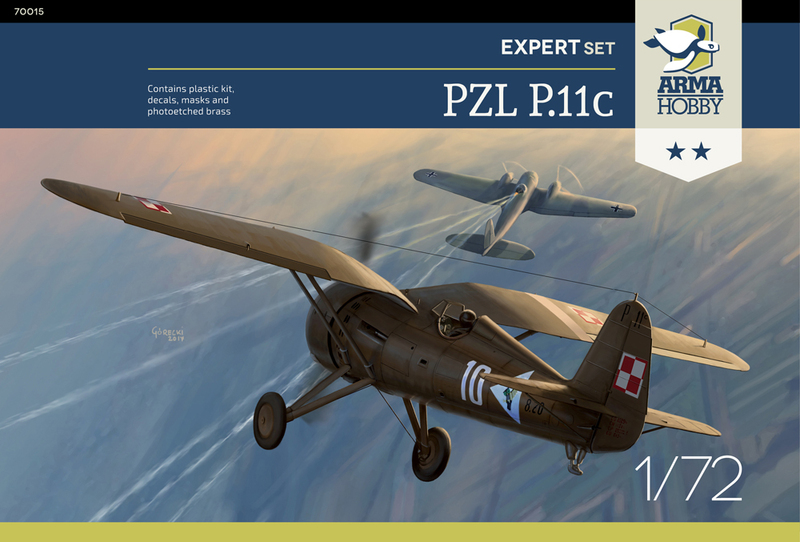 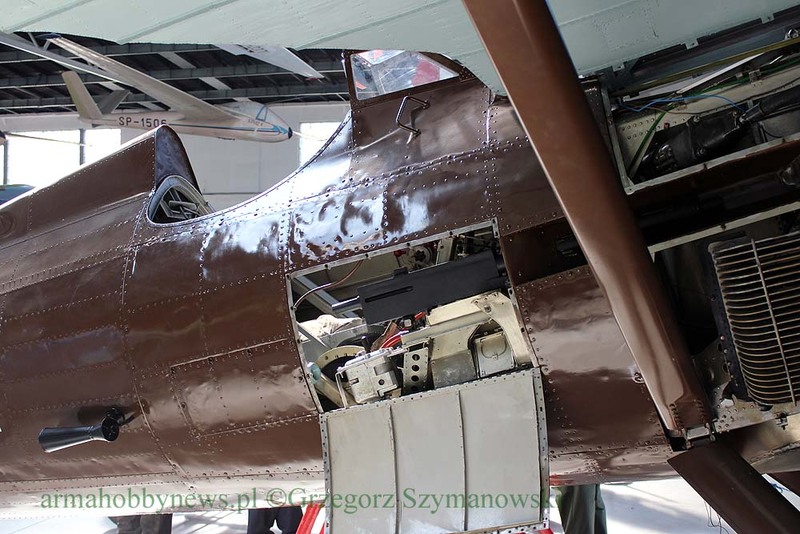 Then it was repainted to K when aeroplane was shifted to 121 Squadron.We do not know whether Krakow’s “2” had painted 121 squadron emblem during service in the training squadron. 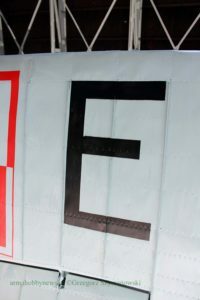 Maybe one of the readers knows the answer? 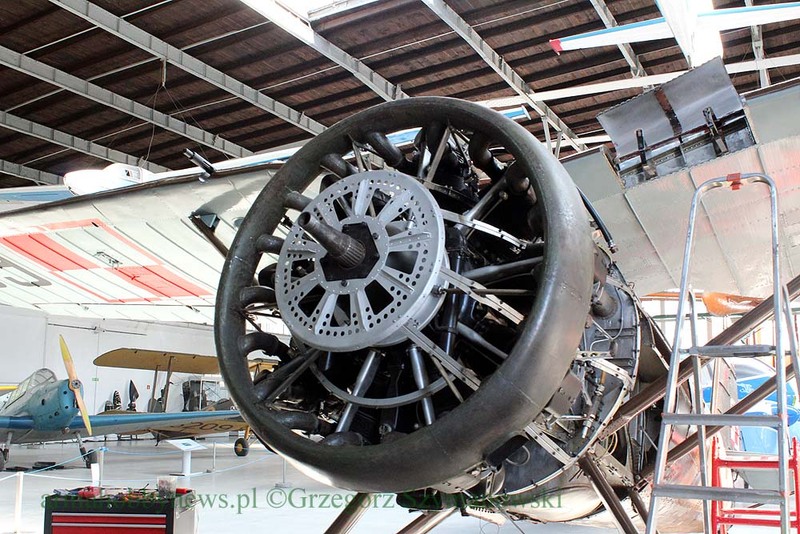 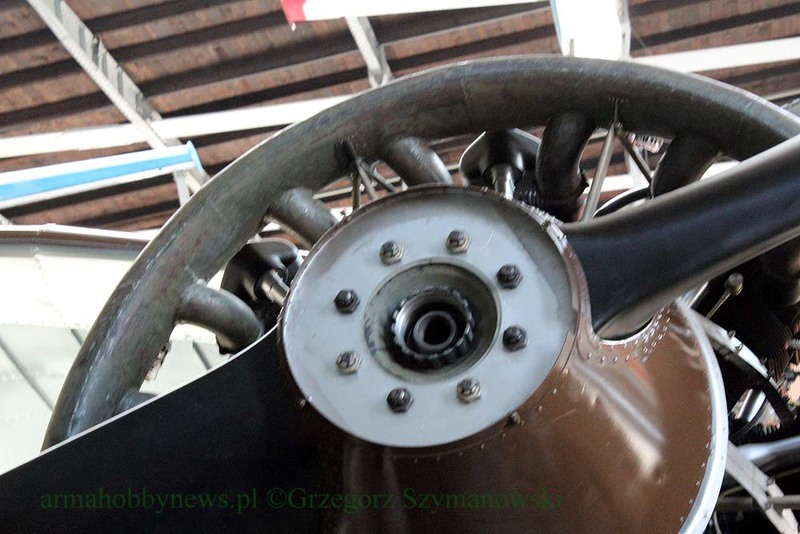 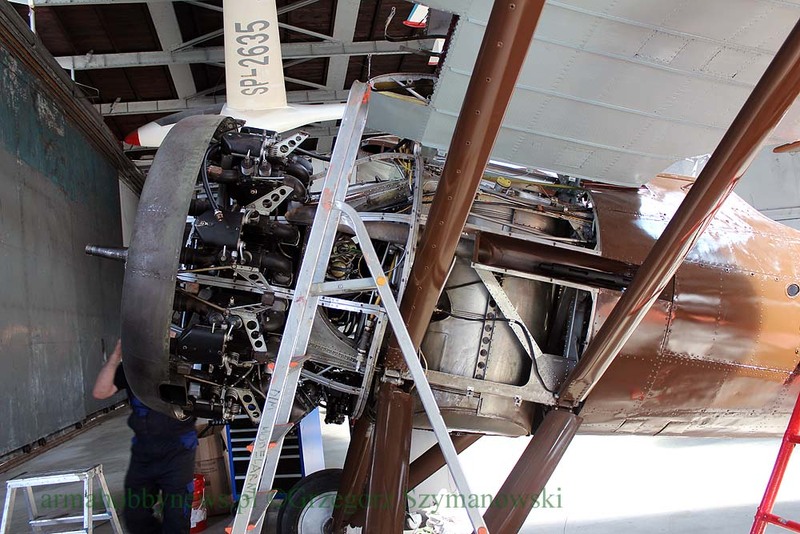 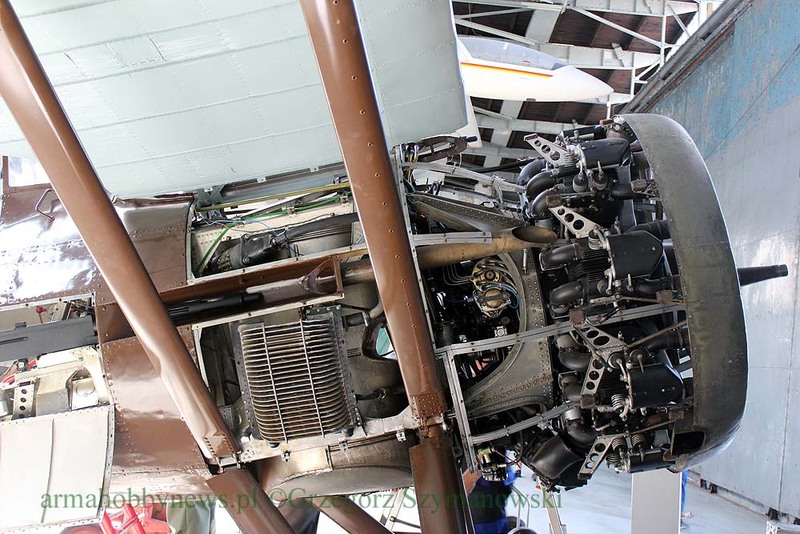 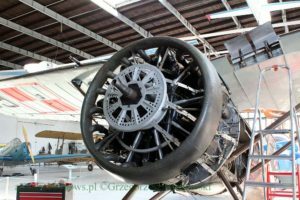 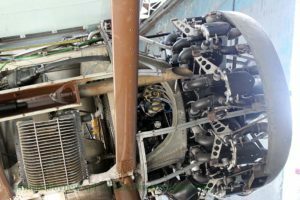 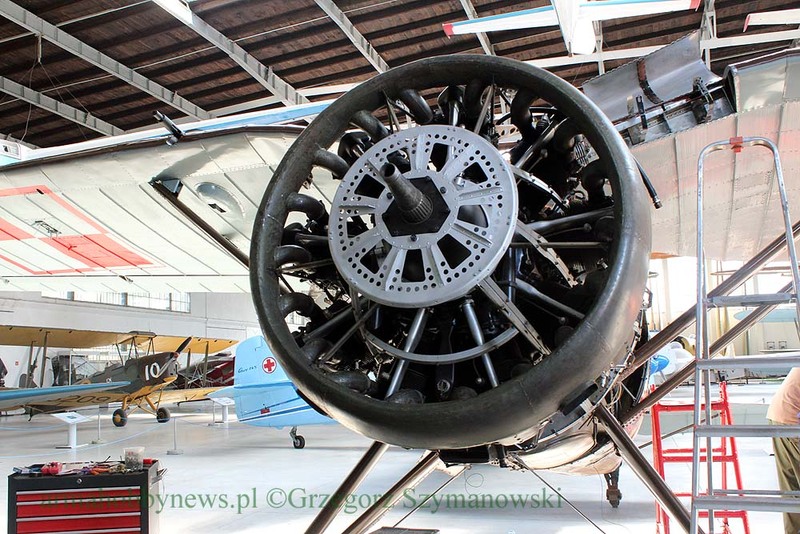 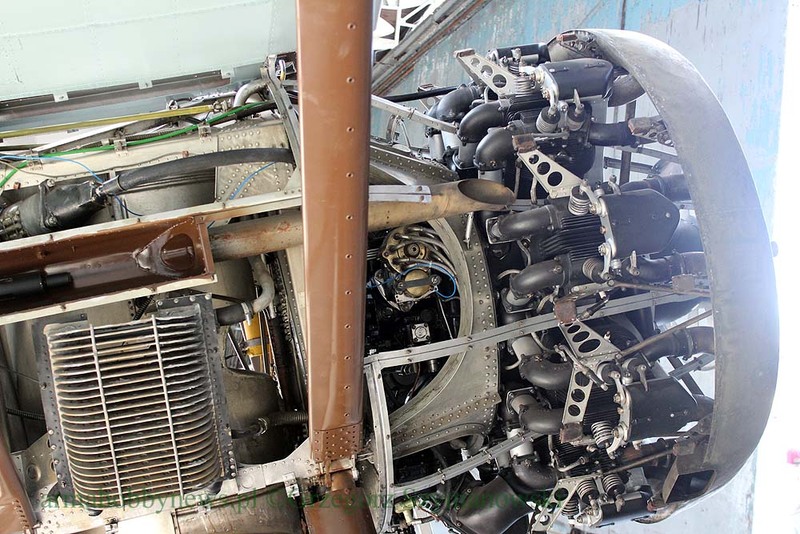 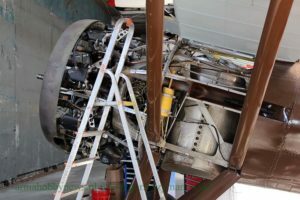 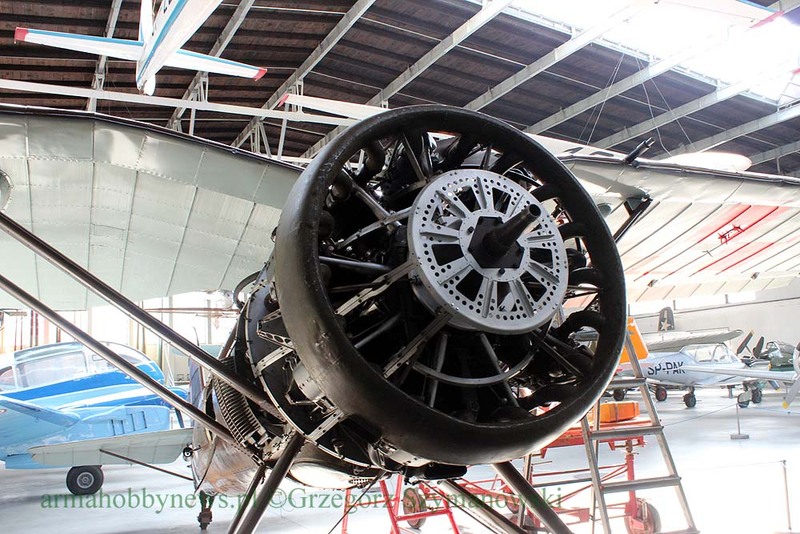 The wheels of the plane are not original, but this time it was mounted more like the factory ones (diameter is 5cm to small). 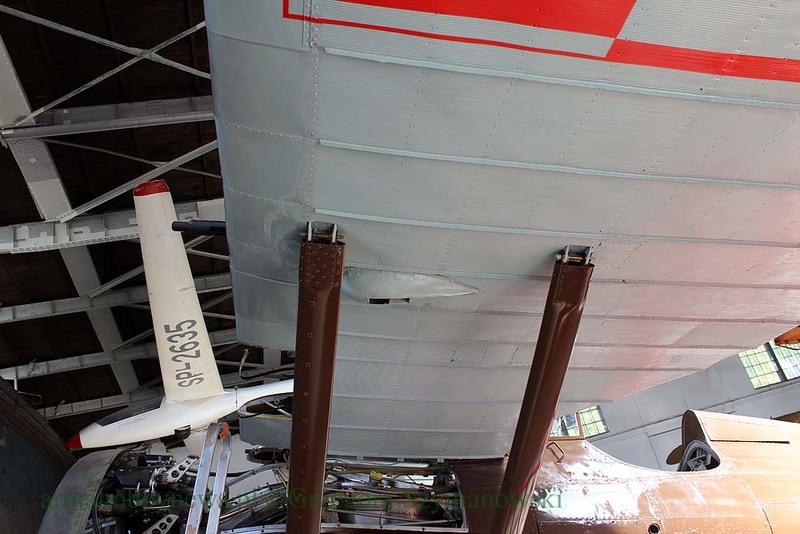 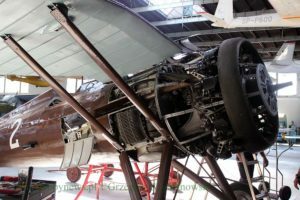 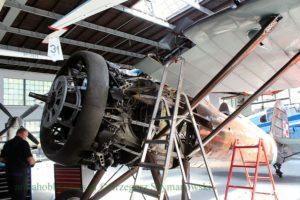 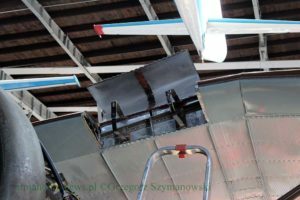 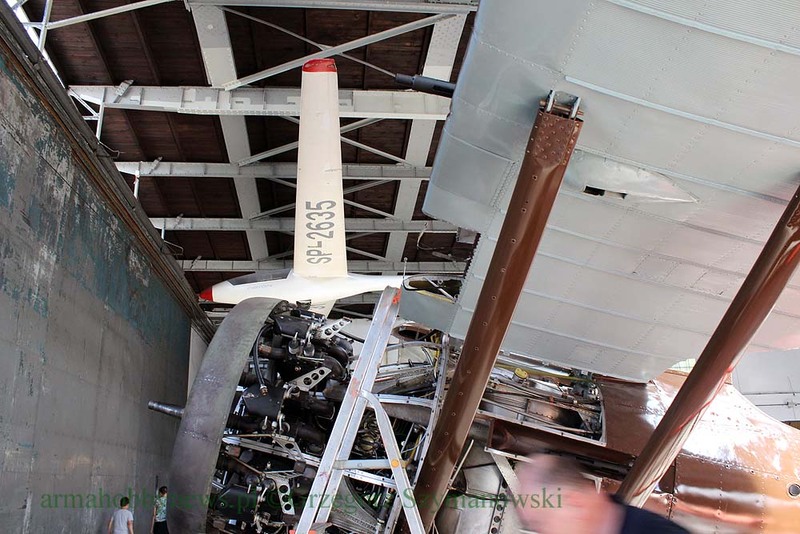 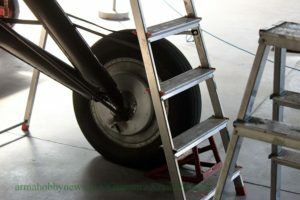 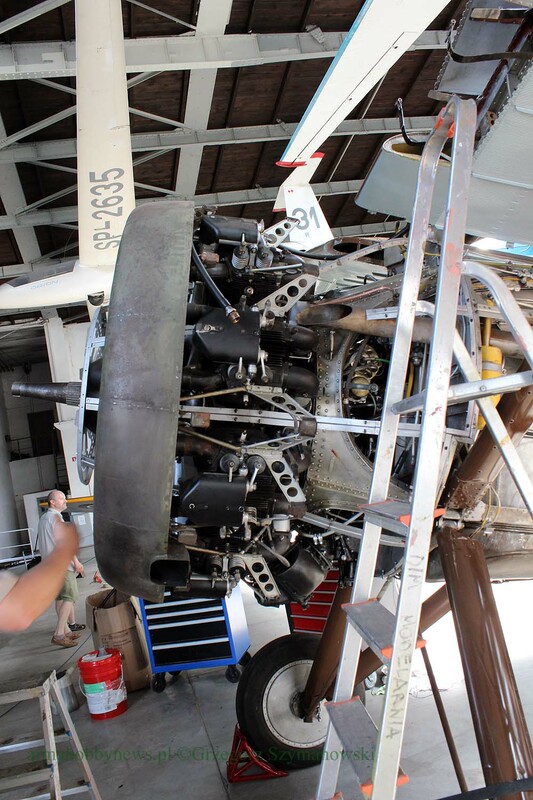 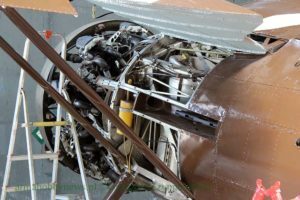 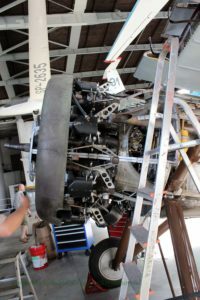 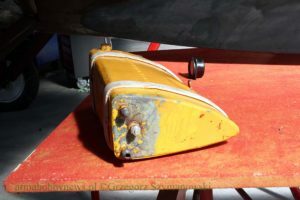 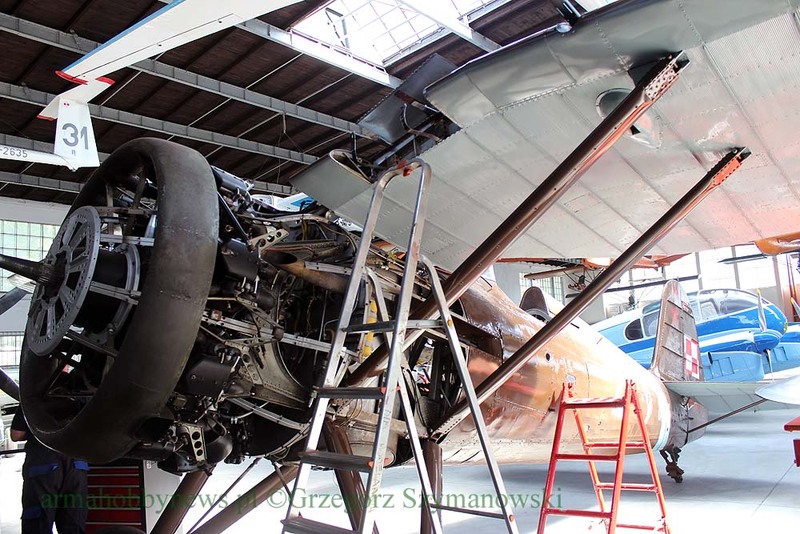 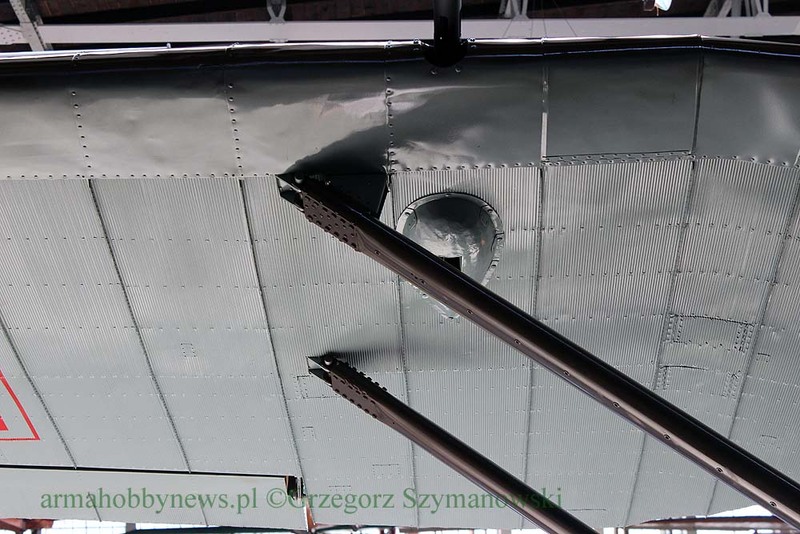 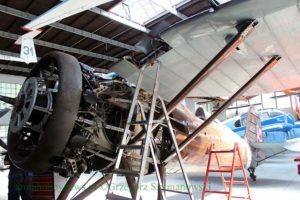 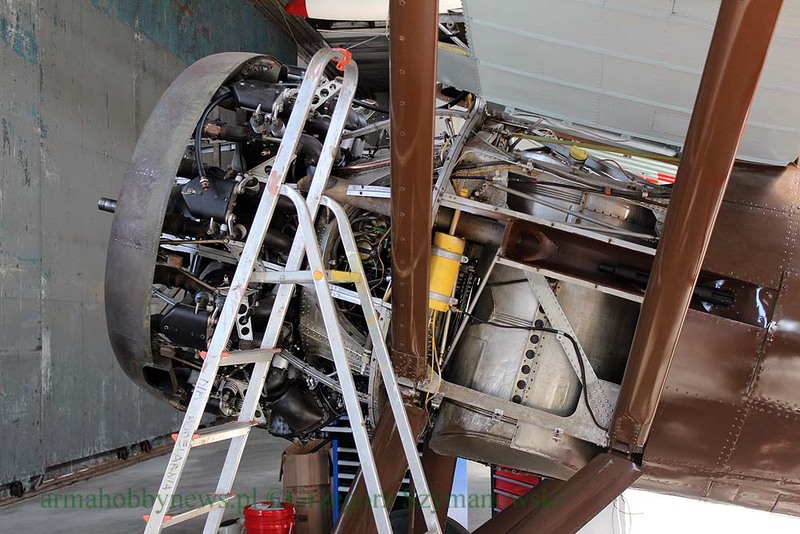 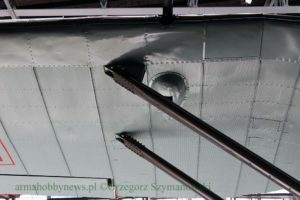 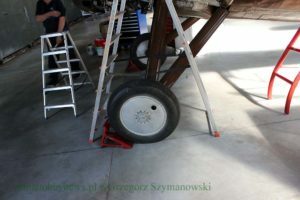 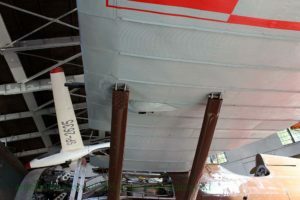 A roll was added to tail pitch to facilitate the movement of the aircraft in the hangar. 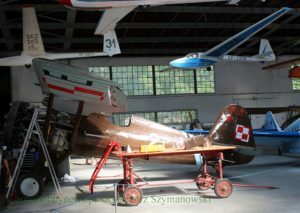 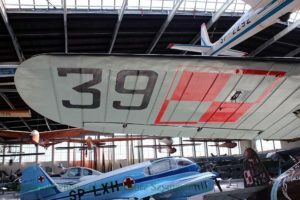 When plane returns to the exhibition – it will be removed).